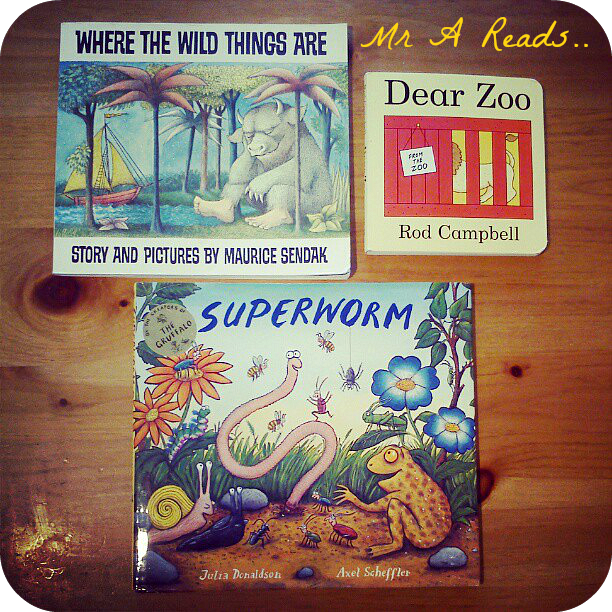 With World Book Day yesterday we wanted to share with your our current reads, it is a slightly belated blog post (by one day) due to coming down with a sudden stomach bug, this post is one day late but I still wanted to share it with everyone as reading and books are such a big part of our family life. Between John and I we have quite a large library and I am always picking up books and packing them away for when I get time to indulge myself in whatever takes my fancy at the time. 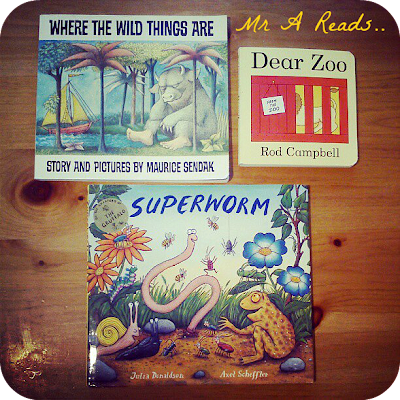 Little Mr A is also very much into books, I have been reading to him since he was in my tummy, I think it's a create way to encourage literacy and creativity. Reading is also a huge source of inspiration for me, wether is be a street-style fashion book, crafting, interior or a non-fiction adventure I draw ideas from it all. Here is what we are currently getting our heads into. The Selby - Todd Selby's personal project of going to interesting people's houses (models, fashionistas, designers, artists etc) and hanging out with them taking photos of their quirky creative interiors and lives - very inspiring book and makes you look at your home in a different way. The Sartorialist, Closer - Scott Schumans second street-style book, original, individual and quirky street fashion from around the world. It's refreshing as it's not focused on over-consumerising and expensive clothes but more in individual style. 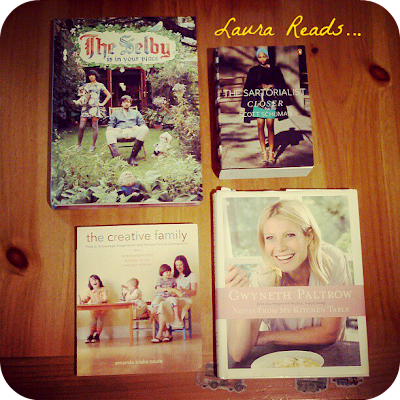 The Creative Family - an amazing book, fulled with ideas on how to encourage imagination, creativity and nurture family connections in a natural and organic way - highly recommend this book. Gwyneth Paltrow, Notes from my Kitchen table - at first I was apprehensive as I am a lover of healthy food but not of celebrity cook books but this is really well put together with alternative and healthy meals to serve the family and offers other options than the normal celeb book. I reference this quite a lot when cooking. 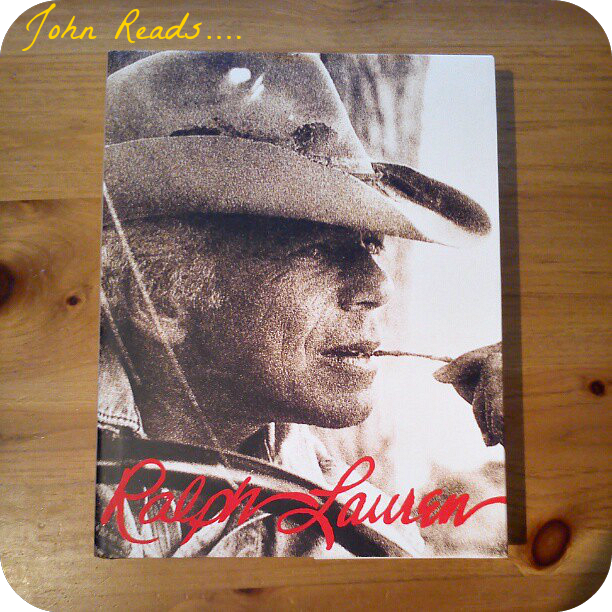 John is a big reader but has been working long hours lately and has not had much time to take on one of the many novels on his must-read list, so recently he has been paging through the mammoth Ralph Lauren book that is jam packed with photos, quotes and inspiration. Mr A chops and changes his favourite books daily but this week No.1 has to be Superworm which is written but the Author of The Gruffalo and flows really well with some amazing illusteations. He is also loving Where the wild things are and the Dear Zoo flip book. Dear Zoo is a favourite in our house, too!